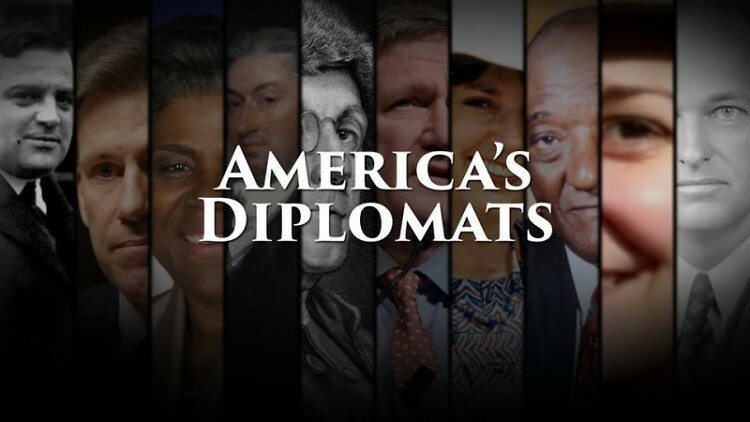 The World Affairs Council of West Michigan will screen America's Diplomat on Wednesday, August 30 at Wealthy Theatre. The event will allow attendees to learn how people shape policy. No reservations needed. Pay at door. Affairs of state often seem remote from the everyday life we live in Grand Rapids. But our local community is influenced by and influences global affairs. World events shape our community. Consider the impact of war and conflict worldwide and how that has driven a decades-long effort to resettle refugees in Western Michigan. Through the arrival of newcomers, our neighborhoods are truly global. And our economy increasingly relies on global markets to maintain the economic growth we see in our community. In 2014, Grand Rapids was ranked among the top 10 emerging cities in the U.S. for global trade and the trend of globalizing businesses in Western Michigan continues. Our community has also influenced the world through the dedication of public servants who have gone on to shape world affairs. Notably, Senator Arthur Vandenberg, Grand Rapids native, was influential in helping to create the United Nations. Though he advocated isolationism early in his career, his policies changed dramatically in World War II and he became a leading voice in the Senate on foreign relations post-war. The World Affairs Council of Western Michigan and the Community Media Center invite you to learn more about the world and how people shape policy with a screening of “America’s Diplomats,” which highlights the men and women serving in the U.S. Department of State. These individuals represent our front line of defense abroad, and the work they do to achieve peace and prosperity. They have committed to public service that enables American political and economic success in the world. The film will be screened at the Wealthy Theatre on Wednesday, August 30 at 7 p.m. (doors open at 6:30). Suggested donation is $5. No reservations are needed and there is free parking available. Find out more about this event and other educational programs on global affairs by visiting worldmichigan.org/. The World Affairs Council of Western Michigan, in existence since 1949, is dedicated to educating people in western Michigan about other countries and cultures of the world, as well as providing a forum for discussion of critical foreign policy issues. It is a non-partisan, non-advocacy educational non-profit organization. With 60 member companies and almost 2800 members, it’s considered one of the best Councils in the national network of 100 World Affairs Councils.